To achieve nationally-recognized excellence in developing engaged principled leaders. 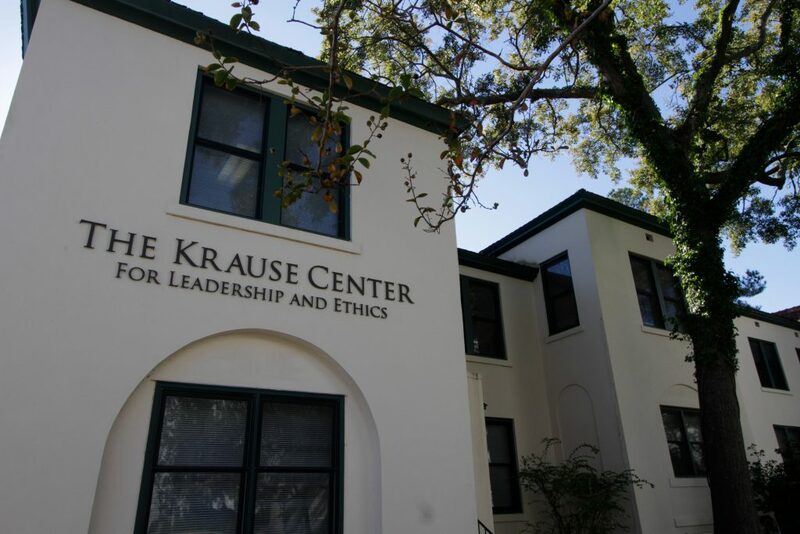 The Krause Center creates and advances collaborative programs, ethics, education and community engagement to develop principled leaders. We strive to create opportunities for leader development through structured courses, ethics bowl competitions, leadership conferences, and service learning & civic engagement programs. Two hallmark events are Leadership Day in the Fall and the Principled Leadership Symposium in the Spring. The Krause Center is grateful to the many alumni, community partners, and corporate friends who support our leader development program.